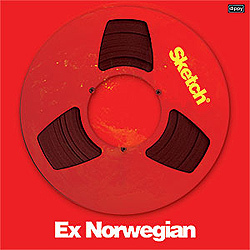 It was with second album Sketch that US band Ex Norwegian reeled us in with their hook laden mix of power pop and indie rock. Subsequent releases and songs have only dug a little deeper into a keen appetite but with new adventure Wasted Lines, the Florida band has bound ears and passions like they were Houdini whilst ensuring there is no escape from their tempting bonds. Every encounter from Ex Norwegian comes with a creative twist and pleasing unpredictability even within a distinct and wonderfully recognisable sound, and this time it is through the addition of vocalist Lucia Perez and her sixties pop touch seductive tones. Her voice adds a new warmth and cheeky lure to the intriguing drama of the songs, an additional colour igniting another real treat from the band. The album as a whole strangely shows a bigger gap between its delirious highs and lesser, a word used with tongue firmly in cheek, successes compared to previous triumphs, but emerges as the band’s most complete and riveting, not forgetting exhilarating release yet. Produced by band founder Roger Houdaille alongside Fernando Perdomo (Linda Perhacs), Wasted Lines is simply a radiant melodic rock captivation casting a perpetual spell over senses and imagination. Formed in 2008 and grabbing their name from the one Monty Python sketch everyone knows, Ex Norwegian made their mark with debut album Standby of 2009 and the following Sketch that same year, though its initial release was followed by a break up in the band before being re-released in 2011 when the band was reformed by Houdaille. This was the trigger to stronger and broader attention with both House Music in 2012 and Crack a year later pushing the band into hungrier spotlights. As suggested though Wasted Lines is the new pinnacle of the band’s artistry and sound and as opening track CheepCheep alone toys with emotions, easy to expect the catalyst to major success. The first song is swiftly stamping its rhythmic and riff wrapped feet with an almost glam rock swagger before being joined by great heavy basslines and the pop fuelled revelry of Perez’s voice. The song bounces around but with hints of an explosive nature which intermittently erupts with a raw and fuzzy blaze of guitar. Managing to be clean cut pop and dirty rock ‘n’ roll simultaneously, it is an infectious start to the album and a tasty appetiser for the following Be There and its sultry climate. Like a mix of Blood Red Shoes and Metric aligned to a great funk seeded, the track flickers and seduces like a fire. Its touch is hot and magnetic, especially with the alluring bedlamic mix of noises which frequent its body and the great contrasting moments seeing a union of vocals between Perez and Houdaille. The lively croon of Much Rooms swings it’s tempting next; celestial vocals from Perez a siren-esque courting of the tangy hooks and dark throated basslines which fill the song. Its radiance makes way for the outstanding Unstoppable, a song which from a potent if understated start grows into a virulent addiction thanks to a chorus which flames like a pop version of Spinnerette. In many ways as punk as it is indie pop, the track glows in ears with a guitar solo bringing its own spicy coaxing to excite further a by now very greedy appetite. The gentler, folk kissed caress of All The Time comes next, its rhythmic energy a sturdy spine through the melodic elegance around it whilst its successor First Time confidently strolls through a harsher but no less graceful landscape of melodic rock and ska glazed scenery. The latter is just a whisper but there in the swing of the increasingly enticing offering. The smouldering croon and melodic balladry of You Could Be Someone brings strong satisfaction next as once more a sixties flavouring lies on the irresistible vocal tempting of Perez as well as the more incendiary surface of the guitars. Its heated embrace leads to the contagion of the glorious It’s Too Late, the best track upon Wasted Lines with a swing and character which excites like a pact between Late Cambrian and Kirsty MacColl. It’s enthralling feet and voice sparking romp is matched in favouring by Only The Clues, those comparisons and especially that of MacColl, an extra spice to the temptress like allure of another very fine persuasion. 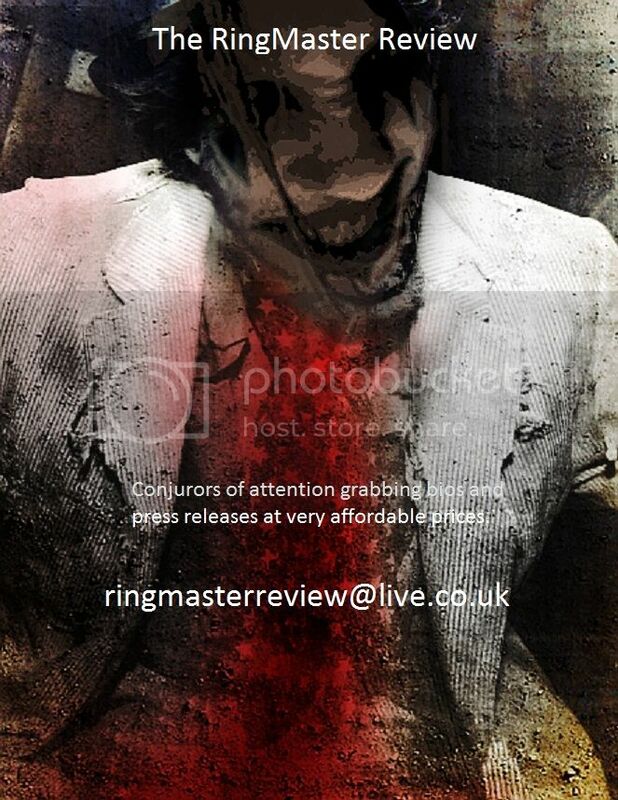 The heavy and thick romance of Unfair to Compare starts the final breath of the album, it’s almost oppressive atmosphere a mystique loaded tantalising engulfing ears and immersing thoughts. It is an exotic and slightly imposing psychedelic adventure of idea and craft which seems to pass on its ethereal qualities to the harmony fuelled closing Love Is. Acoustically shaped and vocally coloured, the track is a beaming sunset to the album and one final enslaving incitement. With every listen Wasted Lines as well as growing in sound and stature, reveals more underlying qualities and treasure within its depths. It is a blaze of imagination and uplifting sounds which all should contemplate blessing their days and nights with. To be honest though Ex Norwegian are new to these ears the biggest surprise was that they are not a British band but from Florida. They deliver a wonderfully varied sound and collection of songs on second album Sketch and the three bands whose apparent influences ooze from within the music are The Beatles, The Kinks and XTC, not only in sound but composition and lightness of touch. Add being named after a Monty Python sketch one would swear the Miami Beach band were British. What is clear and blatantly obvious though is that Sketch is one wonderfully quaint and vibrant release, a pick-me-up for each and every day whatever the mood. Ex Norwegian was formed in 2008 by vocalist Roger Houdaille, creating the band to realise his songwriting as it became a more serious element in his life. It did not take long before the band’s first song ‘Something Unreal’ was unveiled on Myspace which swiftly led to an invite to perform at the CMJ convention in New York. The band strongly impressed then and through 2009 with the release of their debut album Standby via Dying Van Gogh Records and a tour promoting the release drawing even more acclaim. Sketch was created at the end of the tour and self released by the band in June 2010. Lacking label support at this point plus the absence of finance the band eventually came to the end and the album wonderfully brought forth by Houdaille, drummer Arturo Garcia, guitarist Lucas Queiroz, bassist Nina Souto, and vocalist Michelle Grand, sadly basically dormant. Luckily December 5th sees Sketch re-released with again Dying Van Gogh Records picking up the album to give it a national and international release. As the label picked up the album Houdaille decided to reform the band, picking up bass duties to add to his vocals he was joined by the returning Lucas Queiroz and Michelle Grand plus new addition drummer Alex Ibanez. With shows to support the re-release and a planned EP of new songs in early 2012 Ex Norwegian are surely on the restart of a definite rise for the band and their great sounds. A grumbling bass throb opens up first track ‘Jet Lag’ to be replaced within seconds by an alternative pop sound that entices, teases and wraps itself around the ear like an old friend. The chorus is an instant sing-a-long which is surrounded by infectious melodic indie guitars and hooks. The extra touches like keys and an eager trumpet blast adds to the pleasing and engaging sounds. The song immediately lets you know the important thing about the band, they know how to surprise and intrigue with unexpected twists and sounds whilst still making it instinctively and invitingly accessible. The bouncy ‘Smashing Time’ with deep beats and emphatic melodies carries on the irrepressible sounds and joy. Another contagious array of seductive hooks and melodies the song leaps eagerly into the ear and in an album of constant highlights is the brightest track offered. As mentioned the songs and sounds are strongly varied though all have the distinct Ex Norwegian flavouring, from the excellent dual vocal ‘Mind Down’ delivered with the pop excess of Klark Kent, the Kinks spiced gentle mesmeric sway of ‘Seconds’, and the Pixies toned ‘You’re Elastic Over Me’ nothing is predictable but always sunny, vibrant and intriguing. ‘Sky Diving’ and the strolling ‘Upper Hand’ have a definite Andy Partridge feel from the Skylarking era of XTC whilst the sophisticated groves of ‘Acting on an Island’ shimmer with a 60’s pop feel. The album ends on the Monkees meets The Pixies tease of ‘Girl With The Moustache’ and its crying out to be loved melodies. Sketch is a blissful display of varying tempos and arrangements, diverse directions and off balancing creativity, as well as cascading and sumptuous melodies that drip with siren like appeal. The album is immediate proof why the return of Ex Norwegian is one of the most important moments in indie music this year and those to come.